Woman's hands holding a plant to the sun. "Microsoft PowerPoint Template and Background with tropical sunset at seychelles nature background"
"Microsoft PowerPoint Template and Background with beautiful autumn colours of japanese maple trees"
"Microsoft PowerPoint Template and Background with a roadside stream in the rainforest of Costa Rica "
"Microsoft PowerPoint Template and Background with Italian mountains with beauty of nature"
"Microsoft PowerPoint Template and Background with three people celebrating success"
Microsoft PowerPoint Template and Background with a butterfly sitting on purple flower"
Microsoft PowerPoint Template and Background with a photo of birds circling looking for dead fish"
"Microsoft PowerPoint Template and Background with the big cloud has closed the bright sun on turn blue the sky"
"Microsoft PowerPoint Template and Background with tropical waterfall"
"Microsoft PowerPoint Template and Background with young men in sunlight on the meadow"
We are proud to present our path to garden nature powerpoint templates ppt themes and graphics 0213. Draft it out on our nature powerpoint templates. Give the final touches with your ideas. 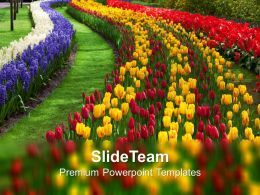 Get a bakers dozen with our flowers powerpoint templates. Recieve that little bit more than expected. "Microsoft PowerPoint Template and Background with beautiful close up of the face of a lion"
"Microsoft PowerPoint Template and Background with aromatherapy flowers feet bath colorful rose petal"
"Microsoft PowerPoint Template and Background with man standing in field looking to the sunset"
"Microsoft PowerPoint Template and Background with ladder leans on wall with light from sky"
"Microsoft PowerPoint Template and Background with flamingoes watching the nature view"
a path leading through a garden. "Microsoft PowerPoint Template and Background with 3d tree"
We are proud to present our 3d couple under palm trees ppt graphics icons powerpoint. 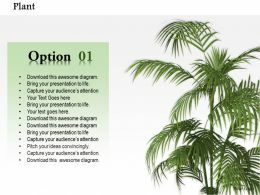 Our 3d Couple Under Palm Trees Ppt Graphics Icons Powerpoint will help you be quick off the draw. Just enter your specific text and see your points hit home. "Microsoft PowerPoint Template and Background with The beautiful chrysanthemum under sky. The wallpaper"
"Microsoft PowerPoint Template and Background with clear blue sky with sun and cloud"
"Microsoft PowerPoint Template and Background with bamboo canes growing in their natural habitat"
"Microsoft PowerPoint Template and Background with tree growing out of earth in front of stars"
"Microsoft PowerPoint Template and Background with Green Enviroment Element". …to present our tree bulb cfl energy production use techniques ppt icons graphics. This power point icon template has been crafted with graphic of tree, bulb and CFL. All these icon are used to show the concept of energy production. 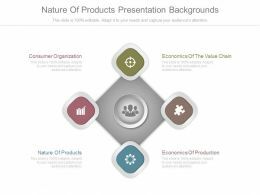 Use this PPT diagram for energy and nature related presentations. "Microsoft PowerPoint Template and Background with lonely tree silhouette on a background of the sunrise"
"Microsoft PowerPoint Template and Background with misty light through the trees"
"Microsoft PowerPoint Template and Background with nature sequence"
"Microsoft PowerPoint Template and Background with walden pond framed by and reflecting autumn leaves"
i have spent a long time making this image as smooth as possible.. it took my dual core workstation 4 min to render to wavy surface. this image will work very well as a background layer or mask. peaceful path in the forest. mostly cedar trees. 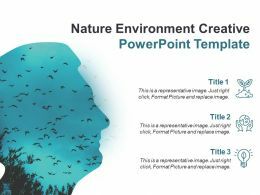 "Microsoft PowerPoint Template and Background with nature background with leaves and a butterfly"
"Microsoft PowerPoint Template and Background with Wind power in a healthy environment. This icon depicts a river green hills and trees in addition to sunshine and wind mills"
Presenting nature of products presentation backgrounds. This is a nature of products presentation backgrounds. This is a four stage process. The stages in this process are economics of the value chain, economics of production, nature of products, consumer organization. 3D image of an Asiatic Tiger Lily from bud to full bloom. A reflection of the picture can be seen beneath each picture. misty forest photographed in the morning early autumn. sun rays crossing the picture. Tulips in red and yellow with a peach background. 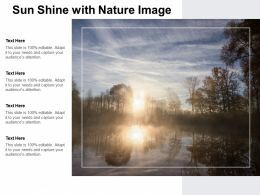 "Microsoft PowerPoint Template and Background with Sun Flower isolated on white background "
Presenting this set of slides with name - Sun Shine With Nature Image. This is a four stage process. The stages in this process are Sun Shine, Sun Radiations, Sun Light.